Lichen has subtle variations in tone, ranging from greens, yellows and greys. Lichens are commonly found vibrantly decorating both limestone walls and rocky outcrops. 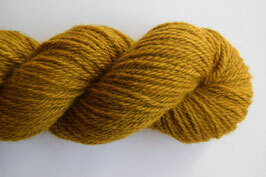 This worsted weight yarn is amazingly soft and very squishy. 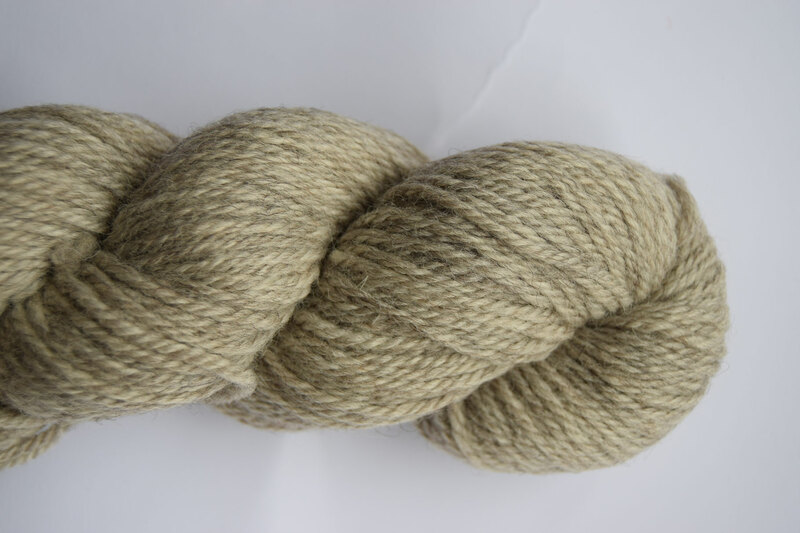 A completely British yarn, spun in Yorkshire. Bluefaced Leicester (75%) and Masham (25%). Limestone is a natural yarn of Bluefaced Leicester and Masham, containing hints of creams, greys and fawn. Limestone buildings and walls are sprinkled around sherwood, wherever this beautiful stone is found locally. This worsted yarn is amazingly soft and very squishy. Damson is a rich velvety deep plum colour. Wild Damson trees can be found in the ancient hedgerows and winding lanes that cross Sherwood. Papplewick. A wonderful teal shade with tonal blue green hues. Papplewick is a village situated just outside Nottingham marking the southern gateway to Sherwood Forest. A pump house there has supplied Nottingham with clean fresh water from Victorian times. This worsted weight yarn is amazingly soft and very squishy. Greendale is a majestic olive hue with subtle tonal variations. The inspiration for this colourway is the ancient Greendale oak, which was of such stature that in 1724 an opening was created that allowed a "carriage or three horsemen abreast" to pass through. 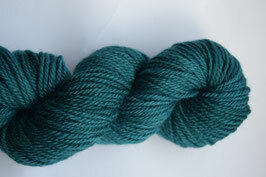 This worsted weight yarn is amazingly soft and very squishy.